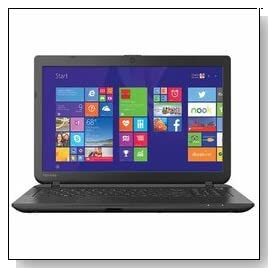 Toshiba Satellite C55D-B5160 is a low cost- everyday needs laptop with a non-touch 15.6 inch high definition display, Radeon R2 graphics, basic dual core AMD E1 processor, good multitasking- memory and adequate storage space, compact size- slim and lightweight, 4.25 hour battery life and a good number of connectivity ports. It can handle the day-to-day multimedia, internet surfing and Word/Excel and similar tasks just fine but not the more complex software or games. 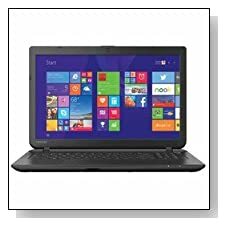 Toshiba Satellite C55 laptop includes the 2014 release dual core “Beema” AMD E1-6010 accelerated processor at 1.35GHz speed with no turbo boost or hyper threading, 4GB DDR3L SDRAM at 1333MHz to run a good number of browsers and apps at once, 500GB Serial ATA hard drive at 5400rpm speed as regular size and speed at this price level but would be plenty for most people and includes HDD recovery as security, Windows 8.1 with Bing that you will be able to change with soon to be released Windows 10 operating system. 15.6 inch diagonal widescreen LED-backlit TruBrite HD display with 1366 x 768 pixel maximum screen resolution- 720p native support and 16:9 image aspect ratio, integrated AMD Radeon R2 graphics doesn’t have a VRAM of its own and will access the main system memory and performs better than Intel HD Bay Trail but less than Intel HD (Haswell) so you can play the older less demanding games like World or Warcraft smoothly at lower settings but not really any of the latest games (not even at low settings)- in short this is not a gaming PC. It has a HD Webcam with built-in microphone to keep in touch with people through voice messaging and video chats on Skype and stereo speakers for adequate sound. Textured resin in jet black Toshiba Satellite weighs 4.8 lbs and measures 14.96 x 1.05 x 10.20 inches- slim and lightweight and its 4 cell/32Wh lithium ion battery gives you up to 4.25 hours but this will depend on what you do on the computer and power management setting (battery is not replaceable by the customer). It has a standard US keyboard with black numeric keypad for easy number crunching and touchpad pointing device with multi-touch control. There is no optical drive and no Bluetooth by default but a Memory Card Reader to transfer media and other files easily from SD, SDHC, SDXC, miniSD, microSD and MMC cards, 802.11bgn wireless, 10/100 Ethernet and RJ-45 connector, 2 x USB 2.0 ports, 1 x USB 3.0 port, an HDMI port to view your laptop screen on an HDTV or an external monitor, an RGB port, a Headphone jack and a security cable lock slot. Conclusion: Toshiba Satellite C55D-B5160 is a good value for money entry level laptop for simple daily tasks. AMD E1-6010 processor has a Thermal Design Power- TDP of 10 watts and a Passmark benchmark score of only 856 which puts it in the low to mid-range category of CPUs and you’ll be fine as long as you’re not going to play heavy games or work on very demanding programs, and both the 4GB memory and 500GB storage are adequate at this price level but the memory is not upgradeable by the user. It is an EPEAT Gold registered and Energy Star qualified computer with a CPU TDP of only 10 watt is offered with a 1 year limited parts and labor warranty. We like that it is lightweight and portable, is easy to set-up and use, display quality is good, performs well for its price level but the battery life at up to 4-4.5 hours is not the best. If you’re a new Office 365 customer you will get a month trial included, as well as Adobe Reader and 1 month Norton Antivirus which we think you should replace with free AVG on the internet. You can’t really go wrong with it if you’re on a budget and it is a Toshiba after all.